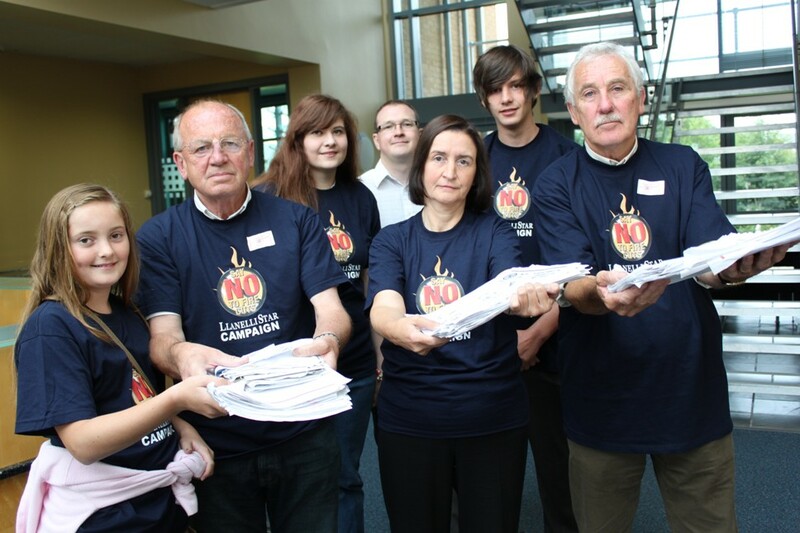 Nia, Keith and Jeff present Chief Fire Officer Richard Smith with the llanelli Star petition. Nia said, “The very idea of Llanelli which has the largest population in Carmarthenshire suffering cuts to the fire service is frightening and mustn’t happen. Retaining our current service could literally mean the difference between life and death. The people of Llanelli demand and deserve an efficient and fast responding Fire Service. 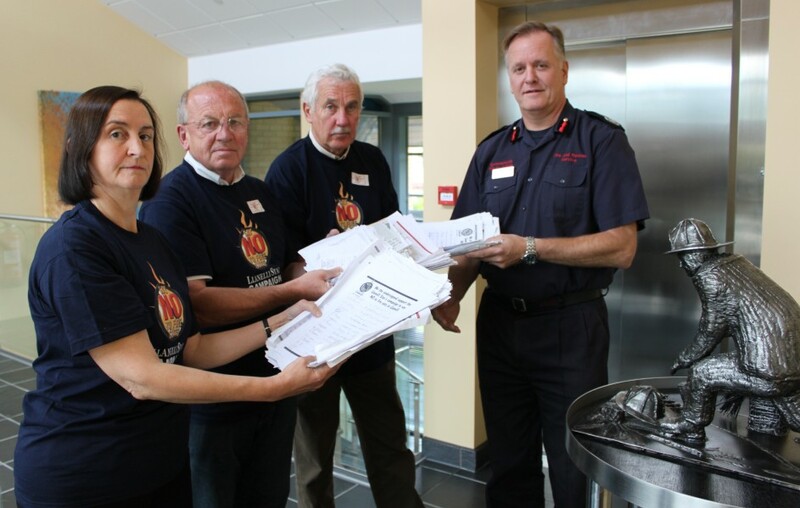 Only 3 people were allowed in to hand over the petition to the Chief Fire Officer,so other members of the group waited in reception.